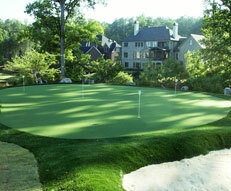 Artificial Turf is not only our business; it is where Genesis Turf was founded. Since our beginning in 2001 Genesis Turf has sought to offer only the best in artificial turf, and our synthetic sports turf is no different. 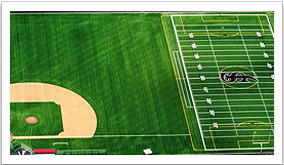 Our artificial sports turf line includes, football, baseball, golf, soccer and tennis. 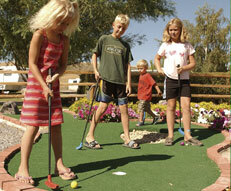 Genesis Turf is a leader in the artificial grass industry and has been family owned and operated since its founding. Our highly experienced staff is committed to helping you select right product for your needs. 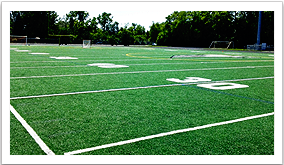 Our synthetic turf requires minimal maintenance, no watering, is safer and cleaner for athletes, children and pets. Genesis Sport Turf is cost-effective and allows year-round playing while remaining good for the environment. At Genesis Turf, our innovative research and development ensures that our artificial turf products are made from the highest quality materials. No short cuts or cheap substitutes here. 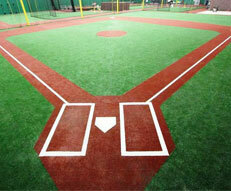 Our field turf for indoor fields and outdoor applications promises the highest quality and durability. Whether covering football, baseball and soccer fields, golf mats or home plates or used for miniature golf courses, tennis and playgrounds, our extensive product selection is sure to meets your needs. Our artificial turf products ensure that your synthetic turf surfacing offers optimum performance and satisfaction. If you are searching for the perfect artificial grass for any of your sports turf or leisure needs, we have a product for you. Make a wise investment with Genesis artificial turf. 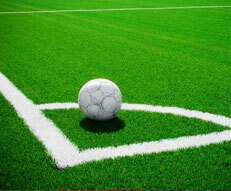 We promise you the right product whether for sports turf needs or any kind of field turf. Our products are 100% made in the USA, 100% recyclable and we are 100% committed to quality, performance and safety in all our synthetic turf products. Sports, Players, Fans and Weather can be tough on turf. Genesis Sport Turf is tougher, stronger, and better than any other. When it comes to sports turf, one size does not fit all. Your Genesis Sport installer will work with you to match the appropriate synthetic turf to your specific application, install location, local climate and other factors. Our patented Heat Block technology keeps players cooler, too – up to 17.5°F cooler than other kinds of turf. Through design, installation and maintenance, Genesis Sport Total Service will make sure you have everything you need for a safe, long-lasting field. Genesis Sport Turf products are manufactured to be 100% recyclable and to remain green for a lifetime. Our products are the results of years of R&D, and reflect our desire to offer eco-friendly solutions. Our high-performance sports turf is specially treated to resist the elements and remain green for a lifetime of maintenance free beauty and enjoyment. Genesis Sport Turf is uniquely designed to withstand extreme temperatures in hot, cold, wet and dry climates and stand up to even the heaviest amount of foot traffic. At the end of its lifecycle, a Genesis Sport Turf sports field should not lead to the landfill since our unique synthetic turf is fully recyclable! 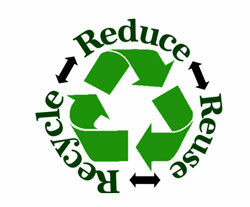 Most all Genesis Turf products are recyclable thanks to our unique, all polyolefin DuraFlo backing system. DuraFlo is soft and pliable. It resists contraction and expansion and will not clog like products that use perforations for drainage. The unitary surface also serves as a weed barrier. We challenge you to find a better line of environmentally sustainable products anywhere in the world.